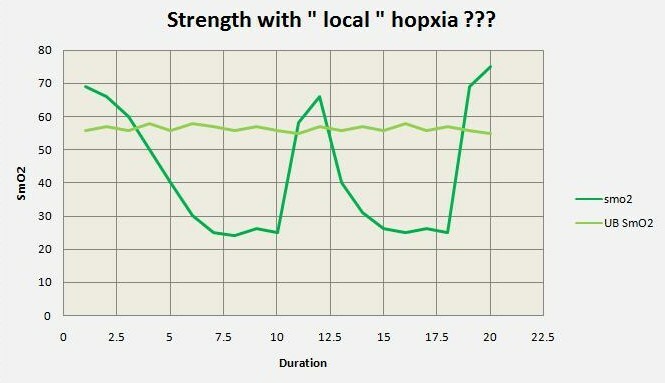 Categories > Strength Protocols > Perhaps time to get an inside view on how we use NIRS for strenght workouts. Like most of the readers may expect, we are not very happy with what we learned years back . It was great at the time to have some kind of guidance, but as so many ideas time has changed and with it the ability to workout much more individual and much more with feed backs telling us what we do instead of hoping we may do something. 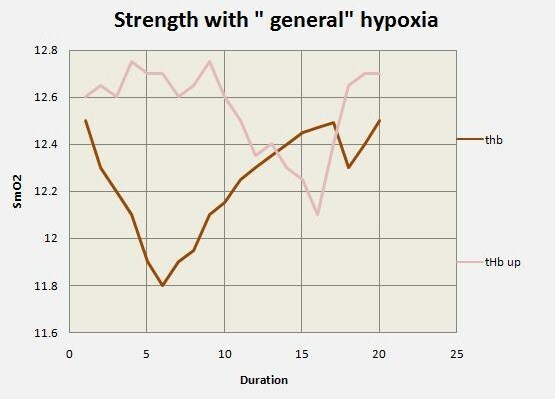 1 rep load to find your training intensity is similar like a VO2 max test. We have a hopefully good idea of what 100 % may or may not be and than us again a calculator and hope it works. We have no control on what we really do. Nirs changes this and with MOXY we can now afford it in a gym for personal training and or for group workouts. This is a review on a suggestion we had once on this forum. Great idea bu very uncontrolled and no feedback, whether it is working besides the performance. So if we improve we are happy , if not we do not know why. What we do with MOXY is. 1. Find your base line workload. 2. Depending on your idea or believe or knowledge choose the intensity you plan to use. 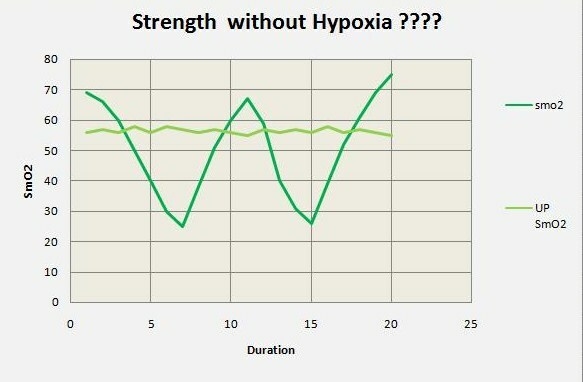 a) Strength workout with no hypoxia. For this information and feedback you use SmO2 trends. Here case studies for each of this 3 goals. 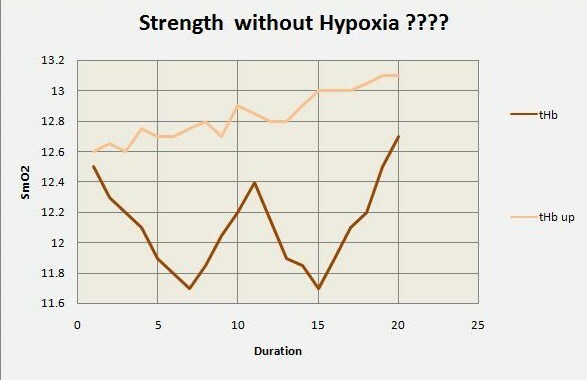 Now this is not just true for strength workouts but in general for short high intensity loads. Here an example I showed in another thread from the USA Army group from Fort Bragg. 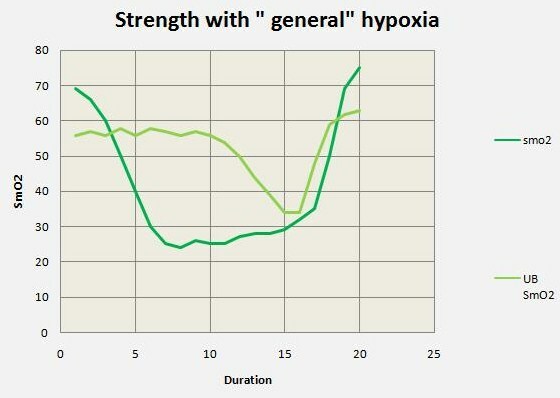 The example below is an " interval workout " 3 wingate tests where you can see, that we not reach a local nor do we reach a general hypoxia but we avoid the local dark green hypoxia situation thanks to a shift of O2 from a non involved muscle upper body to the leg to " refuel the energy storage. 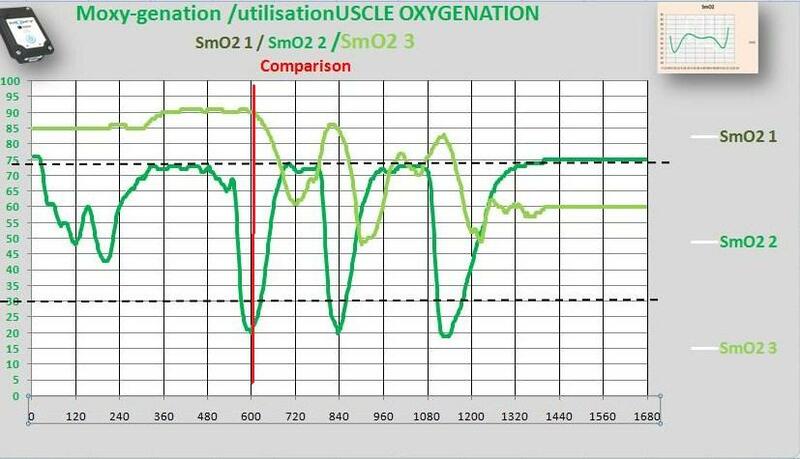 Interesting is the drop in SmO2 of the arms just at the moment where we stop the load see red line. 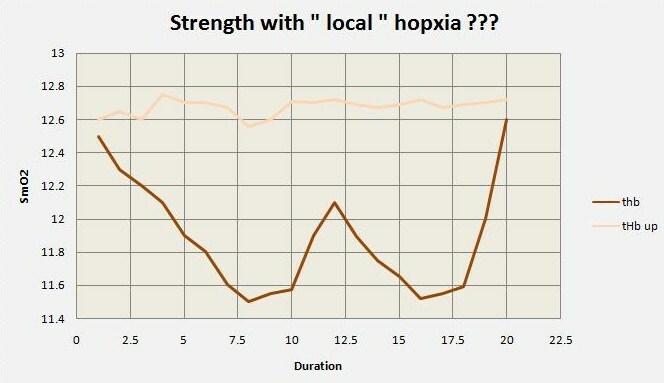 Now in strength workouts we have an additional great feedback on intensity of the load. This is the trend in blood flow ( blood flow reaction. again 3 options to make it simple. 2. Compression load with a additional venous occlusion. 3. Compression load with an additional increase to reach venous and than arterial occlusion. Some additional information. The lighter colour is always a non involved muscle as a feedback to see, when and how the hypoxia moves into the systemic level.